Love Design Pickle? Review Us! 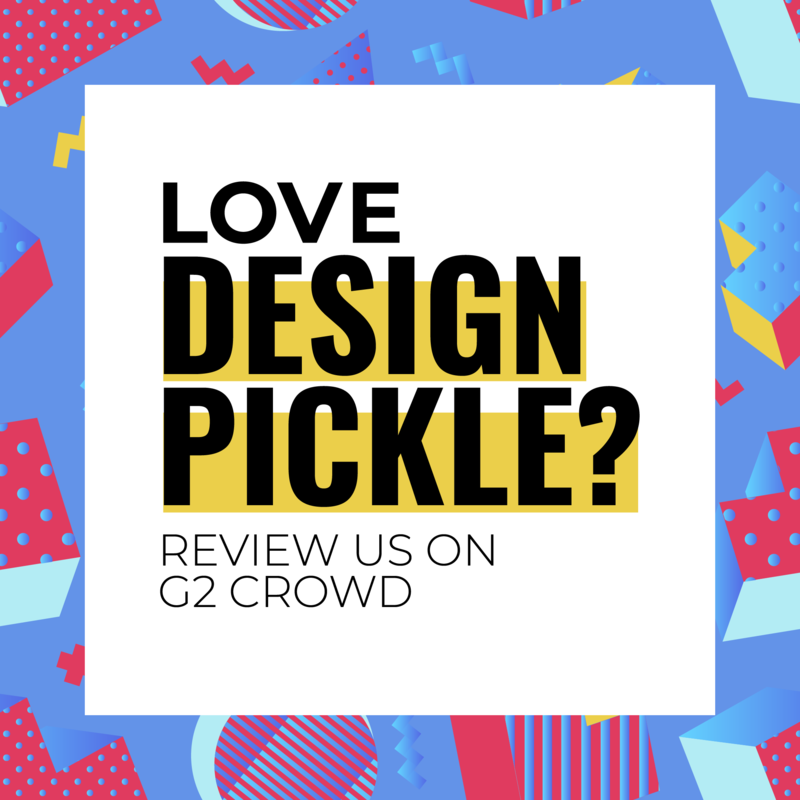 Do you love Design Pickle and want to tell the world about it? Writing about us on review sites helps others make more informed decisions on whether Design Pickle would be a good fit for them. Every review helps! If you could take a couple of minutes to review us on G2 Crowd, we'd be extremely grateful! Just click the link below to get started.